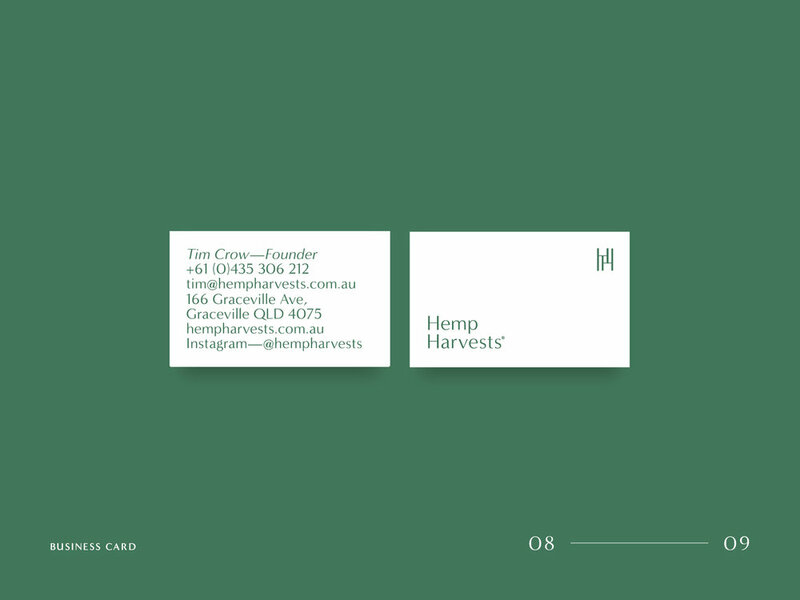 Using the power of industrial hemp to accelerate the transition to a sustainable food future—Hemp Harvests® produce, process and package hemp food products for a healthier world. 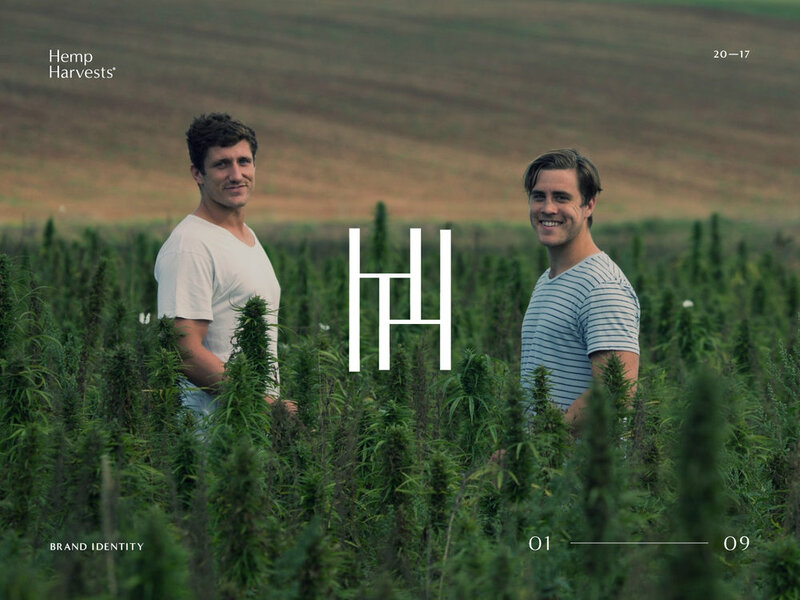 We created a mark that is the combined HH and a visual interpretation of a crop/field. 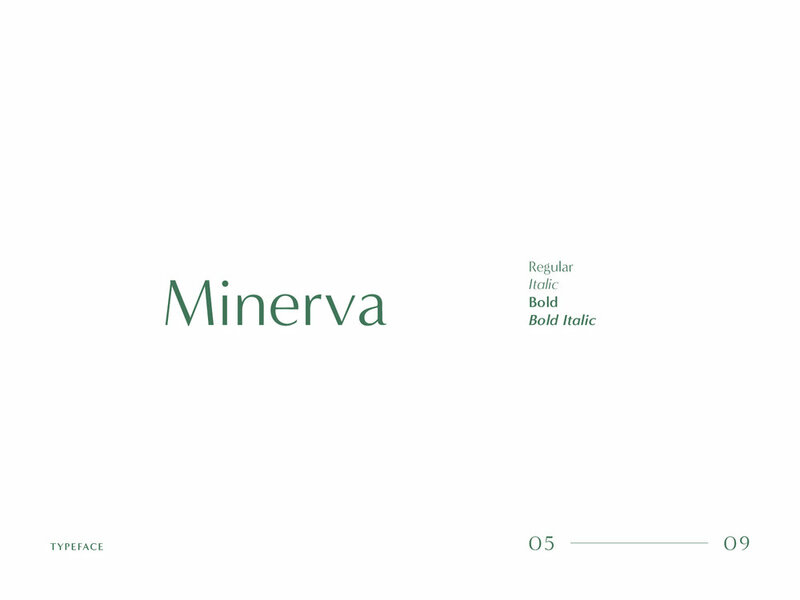 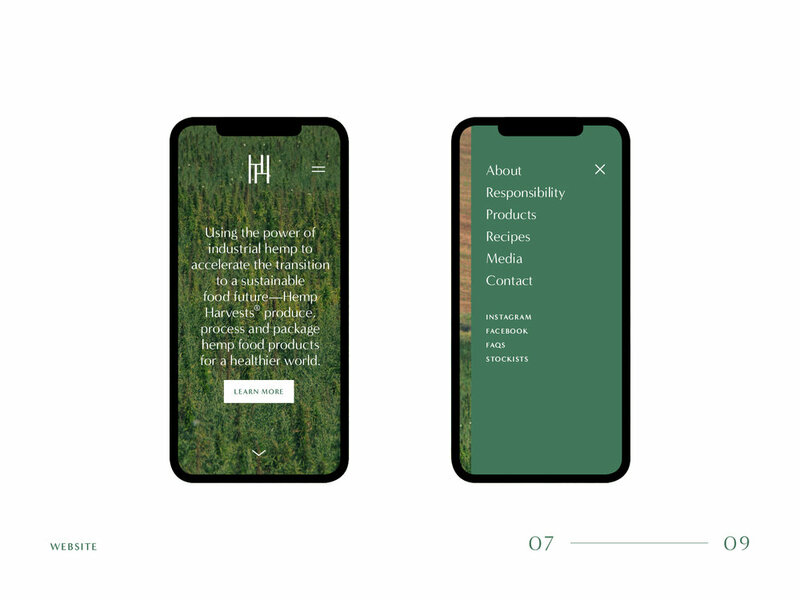 The typeface has organic thick/thin contrasting lines but with a modern clean edge and the colour is an intentional regal to elevate the subject as a serious sustainability contender.